Retrospective planning permission has been granted to extend a new curry house in Lindfield, despite concerns from residents. The application to extend the former White Horse pub in Lindfield High Street, which was recommended for approval, was unanimously approved by Mid Sussex District Council’s District Planning Committee on Thursday (August 31). The pub has recently been converted to an Indian restaurant, after being left empty for nearly five years. Planning officers said there were no objections apart from potential impact to neighbours but argued that it was a public house. One resident said the plan would be ‘sending the wrong do as you please message’, due to it being in a conservation area. The layout of the former pub will be changed and a side extension will be added. 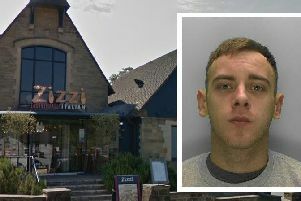 The agent apologised to residents for renovation works and reassured them that the restaurant would be of ‘high quality’ and would not get ‘lots of drunk people’. “If we refuse this application then we are going to have another empty building in the High Street,” she added. Councillor Margaret Hersey had sympathy with concerned residents who were going to experience a ‘change’. “The restaurant should not open until all conditions have been proven,” she said. Councillor Robert Salisbury had concerns over the size of parking spaces. “You only gave to have a couple of cars next to each other and you cant get out,” he said. The planning officer argued that the previous car park for the former pub had operated ‘fine’ with the layout and there had been no objection from Highways England. Chairman of the meeting, councillor Christopher Hersey, said he did not see why the application should be refused. “We have very tight conditions here, and they must be met before the restaurant opens,” he added.